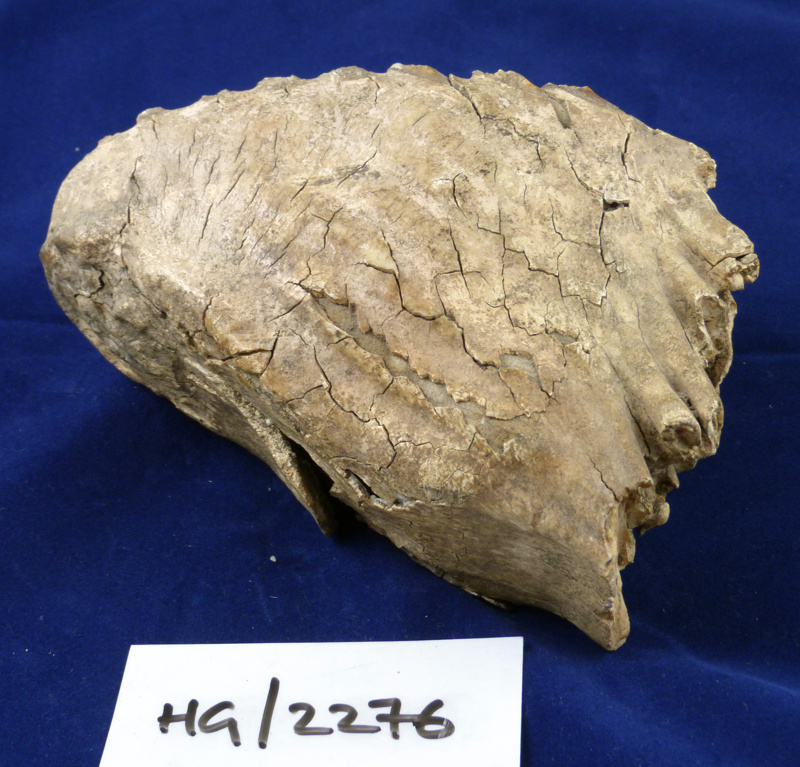 Palaeoloxodon molar, from The Folly Pit, Hitchin. Other animal remains and human artefacts found in the same deposits date the remains to the Hoxnian Interglacial period, 424,000-375,000 years ago. This extinct species was related to the Indian elephant and stood 3.9 m tall.